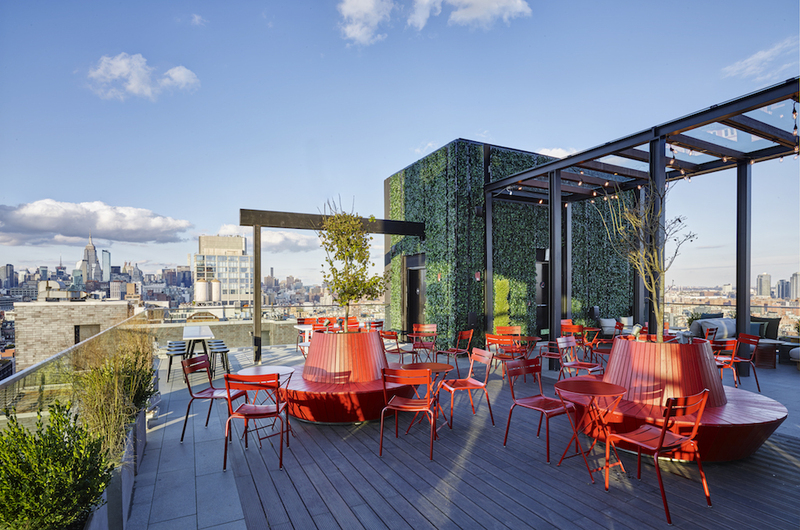 Unlike other new rooftop bars with their $150 negronis, the cocktails here aren’t absurdly overpriced; $12 to $18 seems fair when you consider the epic views from the comfortable couches in the inside lounge and (sadly unheated) outdoor terrace. 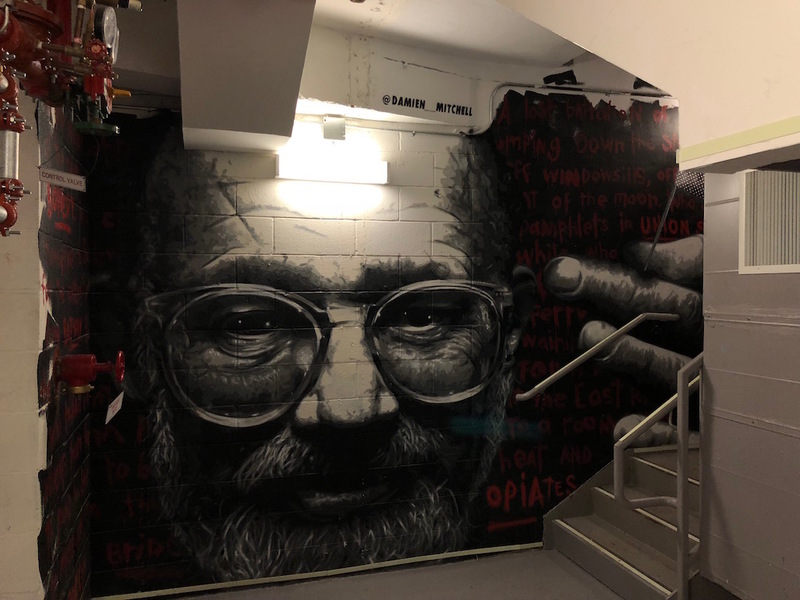 Plus, you get a free look at the Museum of Street Art, a series of murals– many of them Lower East Side themed– painted by 5Pointz artists in the hotel’s stairwell. Yes, you read that right: “brick-infused” Scotch. Turns out there’s a story behind that brick, and it’s a story that pretty much perfectly sums up the Bowery in the year 2018. 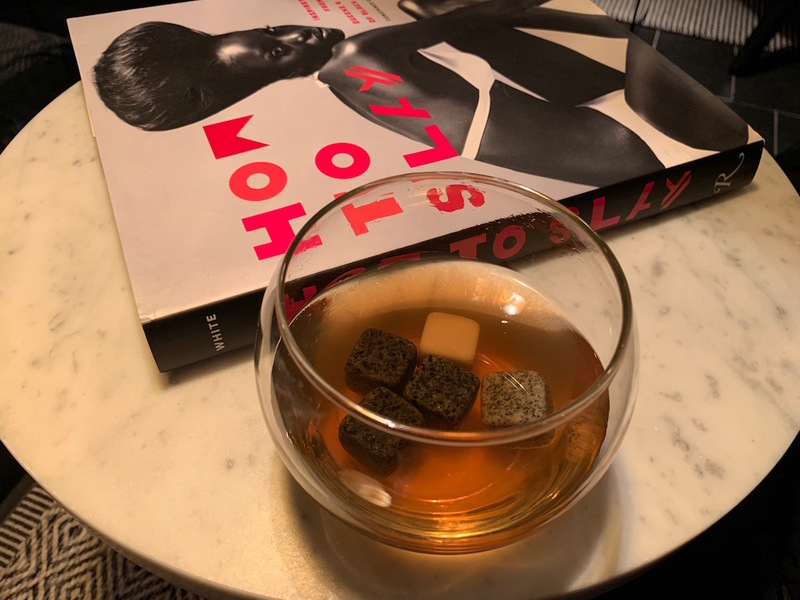 Is it possible that one of the bricks shown in Curbed’s post, “Bowery Building Reduced to a Pile of Bricks for CitizenM Hotel,” ended up in an $18 cocktail called the Police Officer Freestyle Rapper, alongside oolong tea, and bitters made with house-grown gardenia? If so, the hotel’s Dutch mixologist, Ivar de Lange, might want to dream up a brain-chunk cocktail, because my head just exploded. 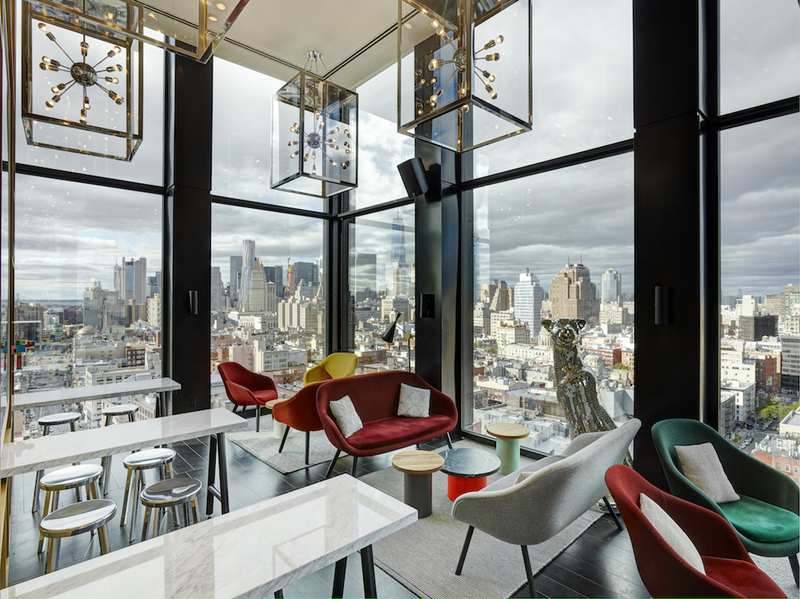 Anyway, cloudM, at 189 Bowery– right down the block from the Ace’s forthcoming Bowery hotel— is open daily from 4pm, with last call at 11:30pm Sunday through Wednesday and at 1:30am Thursday through Saturday. 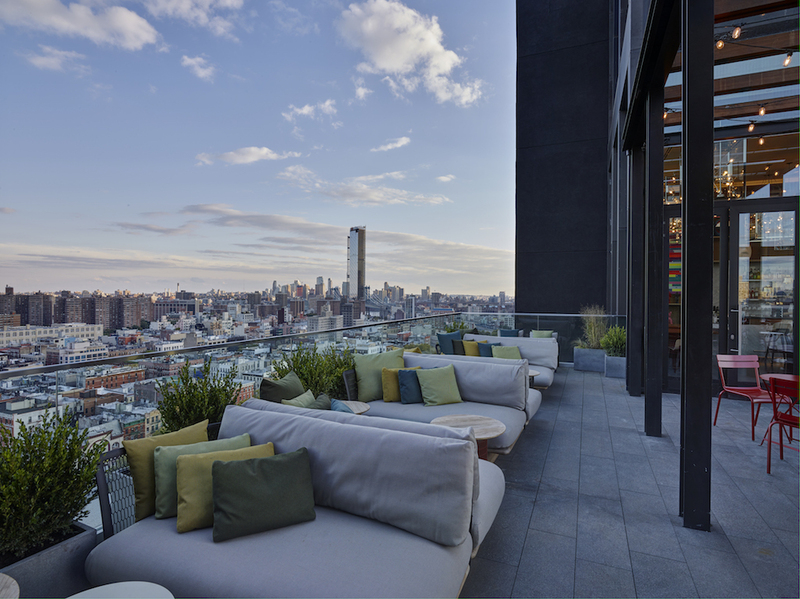 Kick back and sip that brick-infused Scotch before the unwashed masses discover it.